We say Mission Accomplished! when a student leaves Hipcooks planning his next dinner party. Our aim is to excite & empower our students to go to their kitchens & create. We teach mad skills (how to use a knife, how to flip ingredients in a sauté pan) but our main focus is to instill confidence – with a dash of playfulness. What you won't find at Hipcooks: Teachers in white jackets called "Chef" that dictate her way or the highway. At Hipcooks, we demystify technique to make it approachable. Like Gusteau says: Anyone can cook! Another thing you won't find at Hipcooks: Measurements & recipes. Nope! Students learn to cook with instinct and knowledge – not measuring cups. Recipes are distributed after class. During class, we forgo recipe cards & immerse ourselves in the theme of the class, the ingredients, the culture (the why & the how rather than the what) to create deliciousness step by step, with explanations & anecdotes along the way. 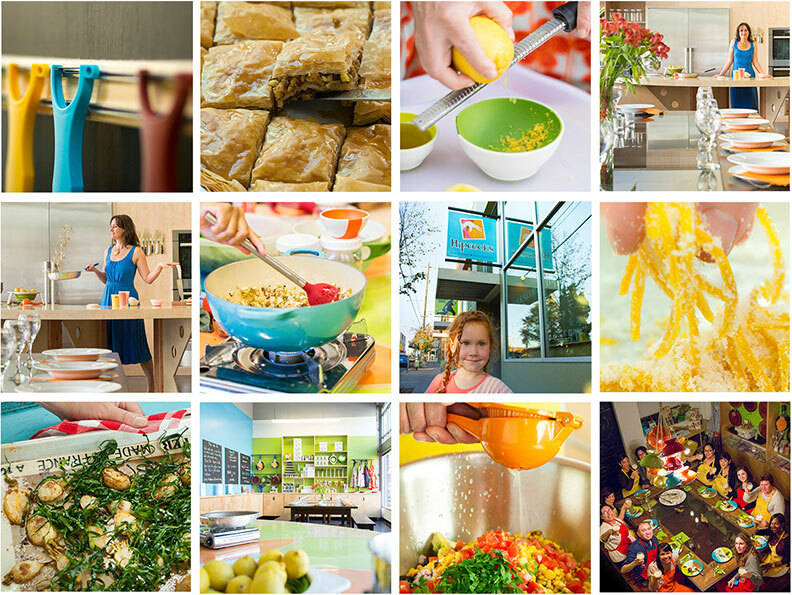 What you will find at Hipcooks: A fun environment with hands-on experiential learning. We won’t divide you into groups – we cook together, we eat together! We focus on healthy, fresh, organic & local foods. Menus are planned to give you newfound confidence & a spring in your step. You’ll be cooking more at home in no time!